Practical Farmers of Iowa announced today that Earl Hafner was chosen for the 2018 Sustainable Agriculture Achievement Award, to be presented this Friday, Jan. 19, at the Scheman Building in Ames, during Practical Farmers’ 2018 annual conference. I had a great time touring the Hafner farm in western Iowa – during much warmer weather – and wrote about the experience as part of a feature that you can read here on the Western Skies Scenic Byway. AMES, Iowa — Earl Hafner, of Panora, has been chosen as the recipient of the 2018 Practical Farmers of Iowa Sustainable Agriculture Achievement Award, granted each year to someone who has shown exemplary commitment to sustainable agriculture, generously shared his or her knowledge with others and been influential in efforts to foster vibrant communities, diverse farms and healthy food. The award will be presented to Earl on Friday, Jan. 19, at 5:15 p.m., during Practical Farmers’ 2018 annual conference, “Revival,” in Ames. Earl farms with his son, Jeff, at Early Morning Harvest and Hafner, Inc., a 2,000-acre diversified farm that includes certified organic row crops and grass-fed cattle; hogs; small grains; vegetables and tilapia raised in an aquaponics greenhouse; pastured poultry for egg production; honey; flours milled on-site from certified organic wheat, rye, buckwheat and corn raised on the farm; and value-added products made from their cereal grains. 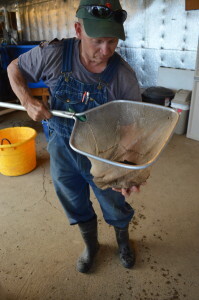 While the Hafners use cover crops and extended rotations to help build soil health – and they don’t use any synthetic chemicals, a fact Earl takes great pride in – the diversity of enterprises on the farm is a reflection of Earl’s belief that farm sustainability must encompass not just land stewardship, but economic resilience as well. Earl says that mentality – and the kind of diversified farm that was a natural extension of it – was common when he was growing up on the farm in the 1940s and ‘50s. He adds that, back then, sustainability had an entirely different meaning – one related to farmers’ ties to both the land and the surrounding community. “In the ‘40s and ‘50s when you talked about sustainability, it meant the farmer’s ability to observe his soil, his crops and his livestock in order to have a healthy farm, because he did not have all this modern technology. Earl’s journey to his present way of thinking traces back to his upbringing on the farm – though it also evolved as he saw the advent of synthetic chemicals, both their benefits and their perils. Growing up, his family never used chemicals on the farm – though they did later adopt some of the new chemicals that were being developed. At first, Earl says the new products held great promise to reduce farm costs and improve farmers’ standards of living. His family farm increased from 120 to 400 acres, and when he returned to the farm in the 1980s after years working several agriculturally related jobs off the farm, he too initially adopted synthetic chemicals as part of the farm’s management practices. But he became increasingly disillusioned with them, he says. From his military training in nuclear, biological and chemical warfare, he had a deeper understanding about the properties that made chemicals work, and the negative effects they could have on the health of people and animals. 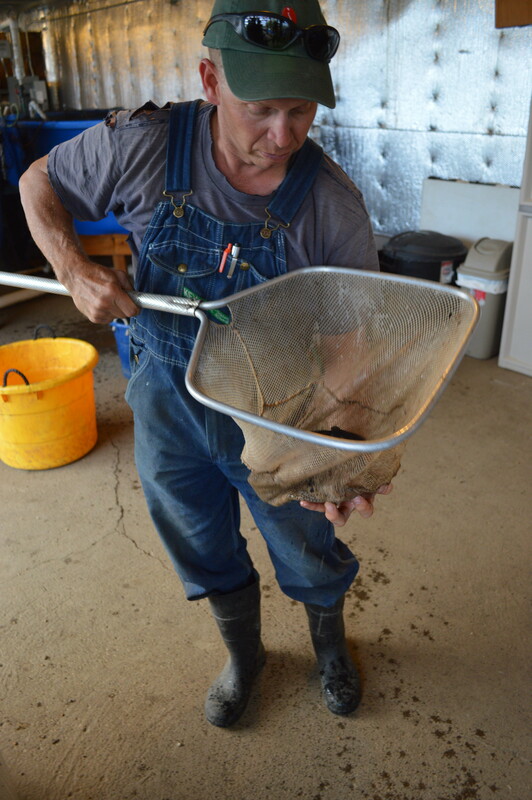 He was also dissatisfied with how they performed on the farm –and he became increasingly concerned about the lack of safety protocols and the impacts of chemical residues. These mounting misgivings led Earl to abandon synthetic chemicals altogether. In the late 1990s – a time when crop technology was moving rapidly in the other direction, towards chemical-based farming and genetically modified crops – he started switching the farm to organic, and has been certified organic for about 20 years. In 2011, Earl and Jeff opened Early Morning Harvest, which added the aquaponics greenhouse, chickens and on-farm milling to their suite of commercial enterprises. These ventures had started as personal hobbies. Jeff had returned from his second tour in Iraq, where he studied aquaponics and agriculture. Meanwhile, Earl had been making his own breakfast cereal and was inspired by the possibility of turning cereal grains – which the Hafners already raised – into homemade flour. 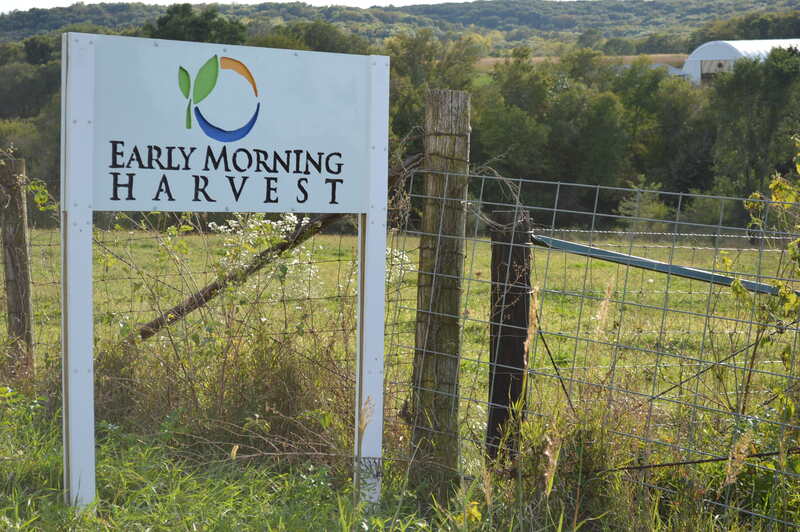 Now, Early Morning Harvest flours and value-added products can be found in stores across Iowa. 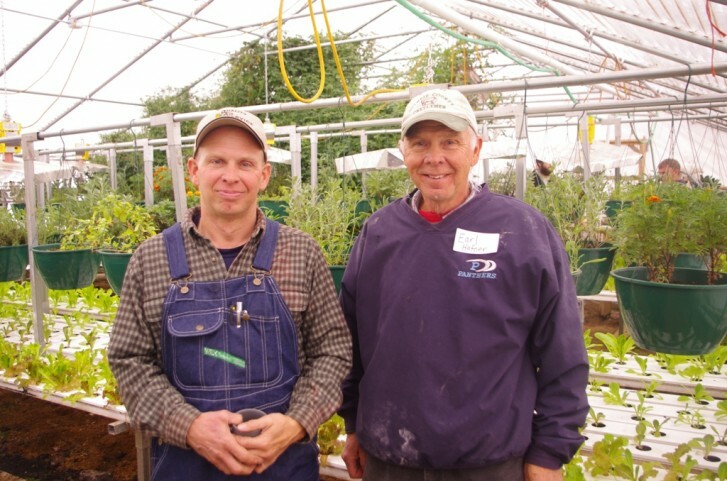 Earl and Jeff have also cultivated markets for their tilapia – customers who believe it tastes better than typical tank-raised fish, Earl says – and they direct-market their vegetables to customers via a weekly email newsletter. For Earl – who has also been active in Practical Farmers of Iowa, hosting field days and tours on his farm, leading sessions at the annual conference, participating in on-farm research, serving on PFI’s board of directors and helping to mentor beginning and aspiring farmers – his farm’s accomplishments are just an extension of his personal beliefs about farming, resiliency and taking the wellbeing of people, animals and the land seriously. This humility is also a core part of his character. When PFI board president Mark Peterson, of Stanton, notified him that he had been chosen for the award, he says he didn’t believe it at first. Mark will present the 2018 Sustainable Agriculture Achievement Award to Earl on Friday, Jan. 19, at 5:15 p.m., at the Iowa State Center Scheman Building, on the Iowa State University campus in Ames.